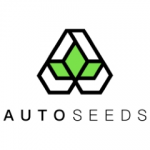 Auto Seeds specialize in the finest quality auto-flowering seeds. The breeder team has dedicated 3 years to research and development in order to provide the best feminized auto flowering seed genetics. Auto seeds will flower irrespective of light cycle making multiple harvests in one outdoor season possible whilst also providing ultimate control for the indoor gardener. Their range combines classic and legendary cup winning strains to create a stabilised and all feminized auto-flowering seeds collection with a wide range of traits and tastes.